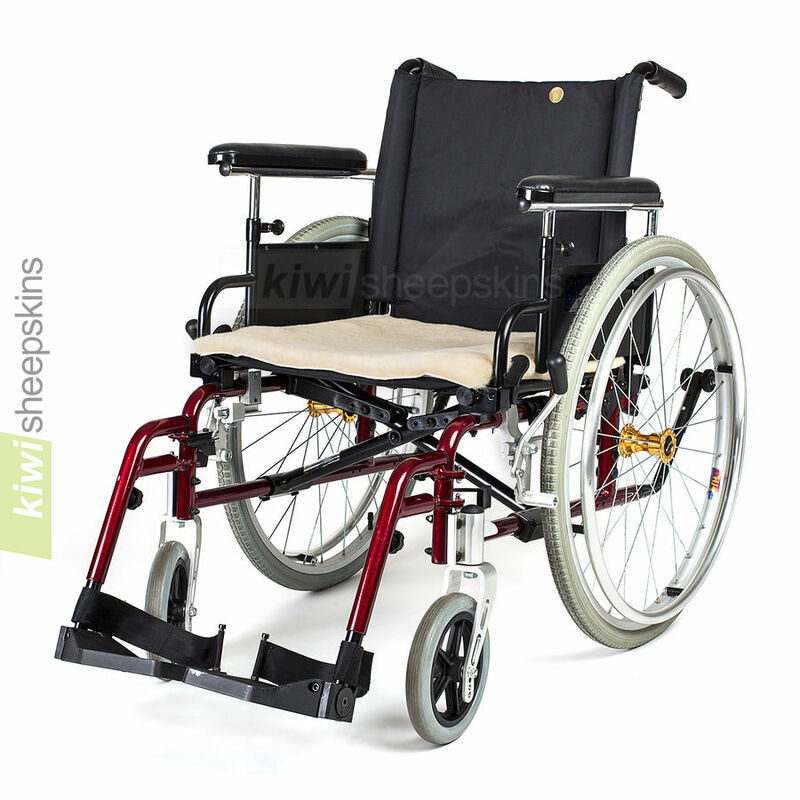 Medical sheepskin seat pad for wheelchairs is designed to give maximum comfort and aid. Tailored to fit snugly on the wheelchair seat (18 inch width). Long hook and loop type straps hold the pad firmly in place. The 18in. width fits standard wheelchair size. This seat pad covers the area you sit on, for added comfort see our sheepskin wheelchair cover which covers the seat back too. 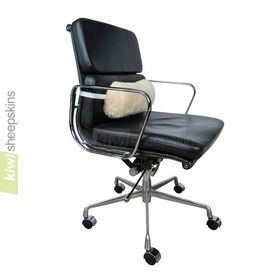 Designed for use on wheelchairs but also works well on a regular office chair. Straps may have to be extended for larger chairs. 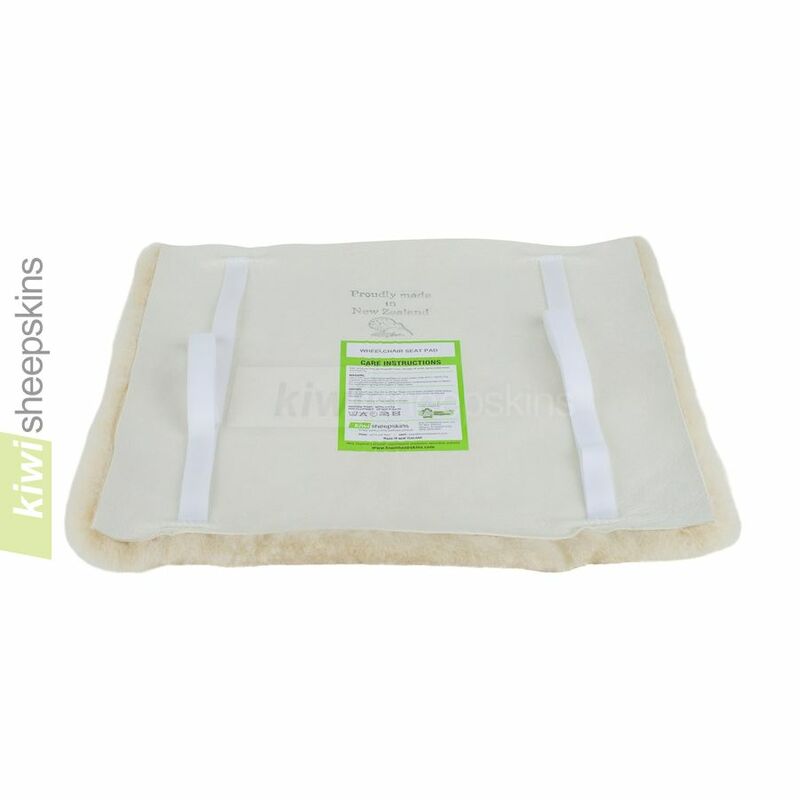 Alternatively, for an all-purpose sheepskin pad without straps that's suitable for any type of seat, see our ever-popular padded sheepskin seat pad. 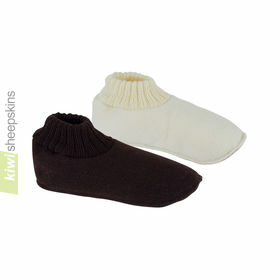 All our medical and wheelchair accessories are machine washable. 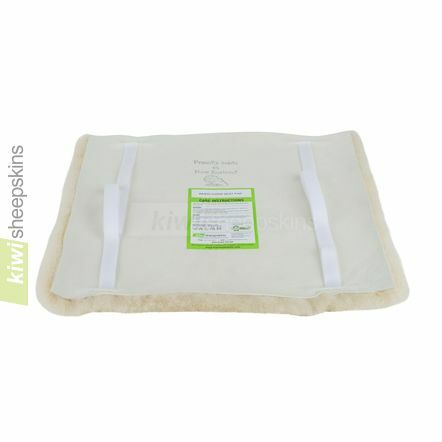 Customers are delighted with the benefits this medical sheepskin seat pad provides. 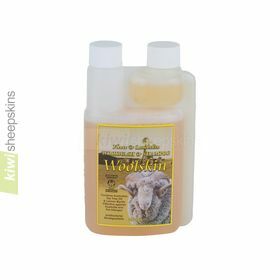 Your medical sheepskin products I ordered have come in and am using them daily. I just wish I had ordered them years ago. They are well made and for this totally wheelchair bound individual it is a blessing. Thanks much for making such a fine product. We are really happy with the service you provide and we will be buying more of those lovely things of yours in the future. You should feel proud of your customer service! It's not often that you get such helpful people, especially on the internet. Thanks very much. This company is the best I have done business with on the internet. 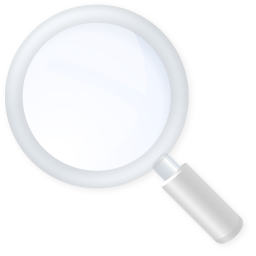 Quality products as advertised and fast delivery. 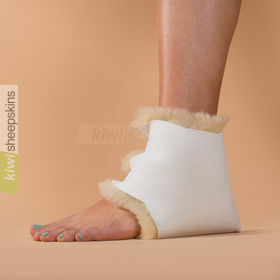 See more testimonials for our Medical Sheepskins range.